Schneider Electric recently informed customers that some of the USB flash drives shipped by the company with its Conext ComBox and Conext Battery Monitor products were infected with malware. 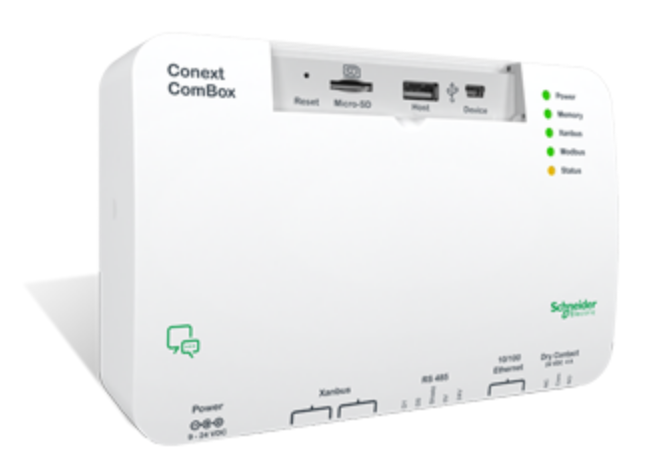 Conext ComBox and Conext Battery Monitor are both part of Schneider’s solar energy offering. ComBox is a communications and monitoring device for installers and operators of Conext solar systems, while Battery Monitor is designed to indicate hours of battery-based runtime and determine the charging state for a battery bank. According to Schneider, some USB removable media devices shipped with these products were exposed to malware during manufacturing at a third-party supplier’s facility. While the France-based industrial giant says the malware should be blocked by all major cybersecurity products, it has advised customers not to use and “securely discard” the compromised devices. “These USB removable media contain user documentation and non-essential software utilities. They do not contain any operational software and are not required for the installation, commissioning, or operation of the products mentioned above. This issue has no impact on the operation or security of the Conext Combox or Conext Battery Monitor products,” Schneider said in an advisory published last month. Users who believe they may have accessed one of the potentially impacted flash drives have been advised to perform a full scan of their system. The problematic drives have been shipped with all versions of Conext ComBox (sku 865-1058) and all versions of Conext Battery Monitor (sku 865-1080-01). SecurityWeek has reached out to Schneider to obtain more information regarding the incident, including how many customers were affected and the type of malware found on the devices, but the company has yet to respond. Incidents involving major companies delivering USB drives infected with malware along the supply chain are not unheard of. Last year, IBM informed customers that it had been shipping malware-infected initialization USBs for its Storwize storage systems, which are used by Lenovo. The pieces of malware involved in these incidents may not have been advanced, but infected USB drives can pose a serious threat to organizations – particularly in industrial environments where air-gapping is often still used to protect critical systems – and sophisticated threat actors have been known to develop complex USB malware.